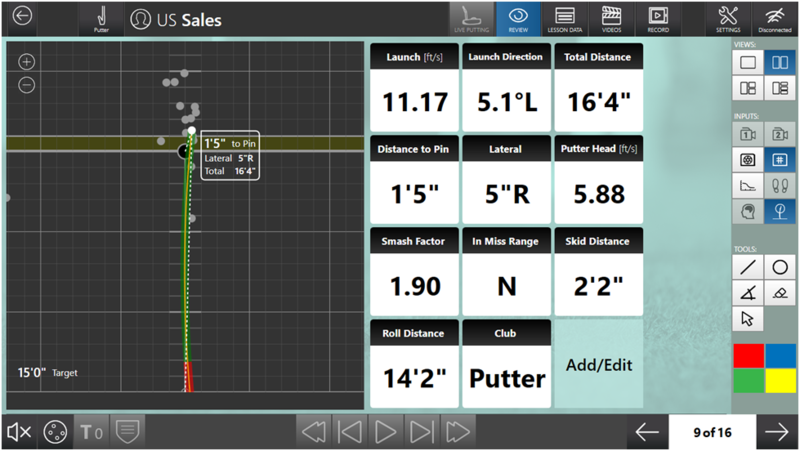 With the recent release of our first hardware and software capable of capturing putting data, the teacher, fitter, or individual user now has the ability to take each session to the next level.Let’s discuss some of the X3 and Short Game PC Software features and how they can be used to improve performance.Customizable interface: The software is completely customizable making it easy to break down each session based on your goals. The trajectory of the putts can be viewed on the left alongside multiple camera views, data, integrations and more. This feature provides a complete session experience with the ability to focus on the necessary amount of information that you require. 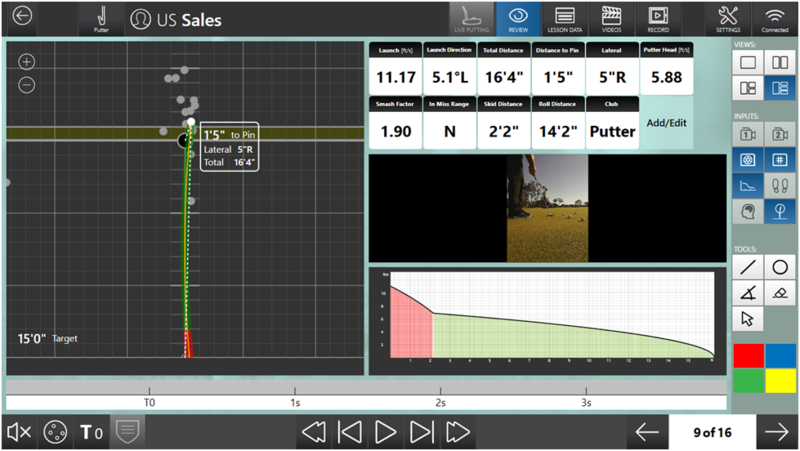 Data parameters: Together, the X3 and Short Game PC Software combine to provide the user with 11 unique data parameters to assist in improving putting performance. Data parameters such as launch speed and putter head speed assist with distance control and speed, whereas lateral and launch direction assist with improving putter and body alignment, as well as the putting stroke. In miss range can help players with consistency and missing putts past the hole. Lastly, minimizing skid will allow players to have a truer roll with added consistency and precision on the greens. Lesson recordings: Whether you are a teacher, fitter, or individual looking to improve, the lesson recording feature makes it very simple to review each session. If you choose to use the lesson recording feature, you will have 30 minutes to go through the software and make notes, voice record, draw lines, circle data parameters, and more. 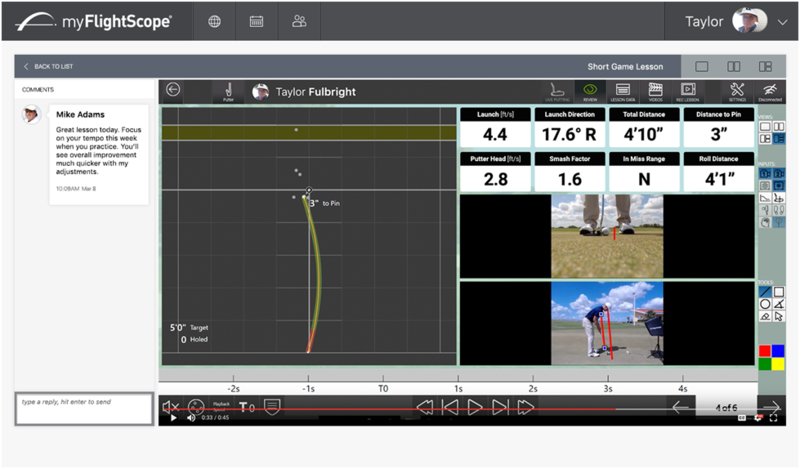 The lesson recording containing your feedback can be sent to MyFlightscope.com for storage and review, and then distributed to students or customers. For any questions on the X3 and Short Game PC Software, please contact Sales at 407-967-7121 or Support at 407-412-9400.